I had the pleasure of interviewing Veronica Mihai Das, founding partner and Head of Investor Relations at Bloomwater Capital, a BVI (British Virgin Islands) regulated & registered Crypto-Hedge fund offering the vehicle for investors to diversify their risk and gain exposure to top cryptos using a traditional investment model and proprietary trading strategies. Veronica believes in inclusion, diversity and gender equity in the blockchain space and beyond, and she is part of the core team of an inspiring movement at WIBI.io – Women in Blockchain Impact Group, one of the world’s most active women in blockchain community. 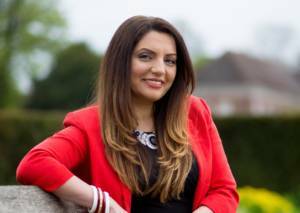 I come from an IT management consultancy background and I developed an interest in bitcoin and the technology behind it after long insightful debates with my husband around decentralisation. That’s when I started reading more about it and caught the “bug”, so I was doing research and even enrolled in an online course that was explaining technical aspects of Bitcoin and cryptocurrencies. After couple of years of trading and investing in ICOs at seed level, in 2016 we decided it was time to diversify so we explored mining. As a result, I am the co-owner of a mining operation in the UK that is still up and running. It was an eye-opening process that took my interest in the technology to a different level. In early 2018 I became part of the founding team at Bloomwater Capital as we decided to start working on our own crypto hedge fund. We are four partners, working hard to develop the best crypto trading algorithm on the market, so watch this space. Whilst we have not started our journey in a garage, as some well-known brands have, Bloomwater Capital was designed in our living rooms, alongside day jobs, children schedules and bear crypto market. In the span of few months we managed to get our partners involved full time and quit their day jobs (scary, I know! ), moved into a decent office that accommodates all of us and our first couple of employees (no more dinner table planning), and we have already captured the attention of several funds and accredited investors interested in what we have to offer. This month we are opening our investment subscription and looking forward to start trading with full speed ahead and all sails high! I would say persevere, learn, be realistic! This is a new edge technology and still in its infancy, so lots of lessons to learn. Nobody is a specialist and we learn as we go. Any founder or CEO starting his/her journey has to think very well what they want to achieve, how can that be done and what impact their products/services will have. Many ICOs just take what they consider to be a successful business template and run with it hoping it will miraculously work. The time of ICOs closing their token sale in 30 seconds and raising $40mm is over, not just because of the bear market, but also because investors are becoming more selective and they start realising hype is not the only basis for investment. A CEO or founder has to think about adoption of their products/services because their business is after all costumer oriented. Without it, you don’t have a business! Bloomwater Capital is a quant trading fund providing exposure to liquid cryptocurrencies across a number of spot markets. We have developed our trading algorithm in-house, placing our investors interests at the core of our business. Crypto is one of the most uncorrelated asset class to capital market and there are a number of established funds looking at getting exposure to this asset class. However, there are barriers to entry and most traditional funds are not geared towards handling crypto assets with regards to trading same asset across multiple spot markets, custodianship of the acquired digital asset and systematic trading. At Bloomwater, we bring in a wealth of knowledge in crypto and quant trading of capital market in one place, we offer custodianship of digital assets through our partner, and we are audited by one of the big four accounting firm in the world. We have developed proprietary strategies that are scaled and geared towards highly liquid crypto assets and the technical infrastructure we have in place is used to trade capital markets and developed for low latency trading. Our aim is to become the bridge between the traditional and crypto market. 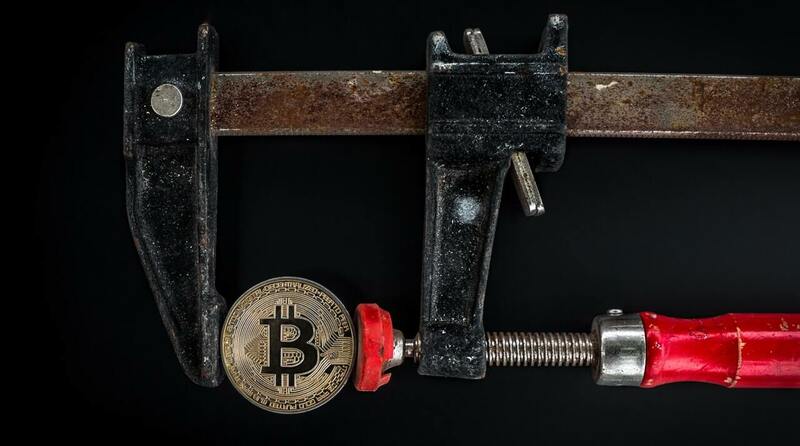 Stablecoins – high volatility of cryptocurrencies pushes many investors to cash out in fiat money. However, this is possible only on a handful of exchanges due to regulatory constraints. Most crypto traders/investors would prefer not to liquidate their portfolios into fiat if there is a stablecoin pegged to USD or EUR or whatever other fiat currency, that allows them to keep their portfolio value and cash out at any time avoiding high price volatility of cryptocurrencies. For many blockchain projects the utility of their token needs price stability to encourage adoption, and stablecoins could provide that in the future. Bitcoin adoption as a store of value – I see bitcoin as an uncorrelated asset with capital markets and the value of sovereign currencies in fractured economies worldwide. There is a huge interest in the usage of cryptocurrencies such as bitcoin as it offers more stability than their local central bank currencies. Let’s look at Turkey for example, where according to an ING survey, nearly one in five (18%) say they own cryptocurrency. Just couple of weeks back Turkey’s national currency value slumped by ten per cent within a day, highlighting internal instability, economic and political turmoil, currently the main driver for bitcoin adoption in the country. Rise of scalable public blockchain protocol – one of the main debates of the time is scalability. Blockchain as a technology is revolutionary but limited by its inability to scale, and this is why I believe the continuous research happening at the moment is geared towards the scalability issue. Several protocols are being developed and whilst none has yet proven to be “the one”, I see this as the main focus for the few years to come, as robust and scalable blockchain will truly take advantage of the technology in order to match the infrastructure of existing centralised systems. Regulatory frameworks for public blockchains – due to the nature of decentralisation of public blockchains, regulation is not only difficult but also cannot be consistently applied on a global scale. This is why I foresee the rise of cross-border/universal regulatory frameworks to be adopted for applications built on public blockchains. What are the medium to long term objectives that you’re focusing on at your company and how will you achieve this? Our objectives at the moment are directed towards the development and growth of our fund. My partners and I had a vision to create a regulated fund, with the right support infrastructure such as fund administration, top market auditors and reliable custodian partnership. That being now achieved, we nearly completed building the infrastructure enabling us to trade across multiple exchanges and progressing with the development of proprietary trading strategies. Raising awareness on cryptocurrency amongst potential investors and businesses or governments through collaboration with various agencies worldwide is one of our longer-term objectives, alongside starting an incubator, Bloomwater Labs, for ideas in the blockchain space that we deem worth exploring and offer strategic advisory services to start-ups in this space. 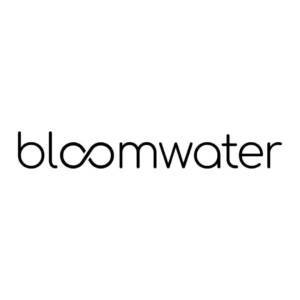 Our team is comprised of skilled and talented individuals with accredited academic credentials and highly technical experience in mathematics, programming, investment management and blockchain technology, that makes me feel extremely confident about the potential and growth of Bloomwater Capital in an industry that is the future.